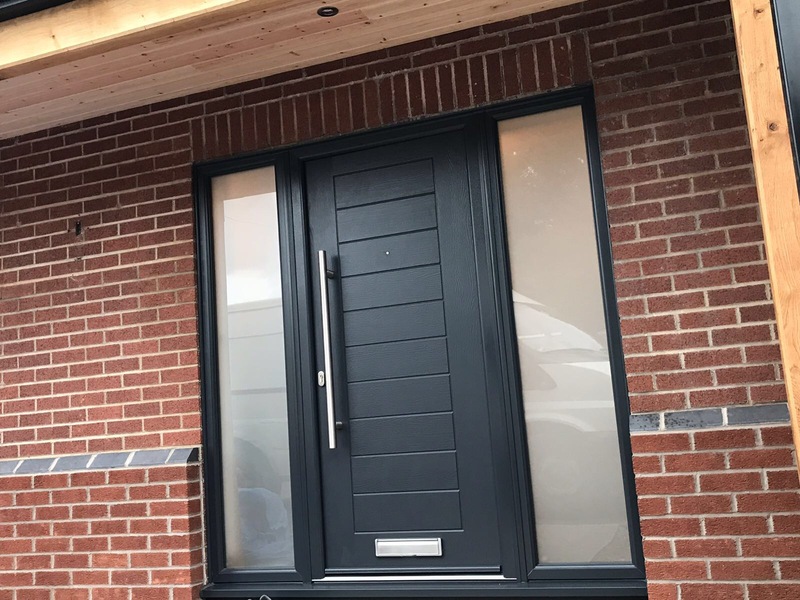 Renowned for their solidity and security, timber core composite doors are the only choice when it comes to securing your home and your family. Our 48mm thick solid timber door slab is even sledgehammer proof – see for yourself here! Choose from our diverse range of styles; our Classic Collection composite doors draw inspiration from the Georgian and Victorian eras, whilst doors in our Urban Collection add a contemporary feel to your property. Rural home (or just love the style)? No problem – our Country Collection has a selection of doors perfect for your country cottage or rural farmhouse. We are offering the Endurance composite door supplied and fitted for £1095 including VAT. Are you interested in an Endurance Composite Doors? We pride ourselves on delivering the highest quality doors for your home. A new door can be a welcoming addition to any home and is the perfect way to make an entrance, as well as offer that sense of security. Whether it’s front doors, back doors, French doors or patio doors, we can tailor anything to meet you and your needs and will look to work with you every step of the way to enhance your home. Custom made for you means you won’t be able to find a price on our site as each and every one of our customer’s needs is different, and therefore every design is priced individually. As well as this, we want to ensure that we have your budget and style options in mind, in order to give you the most competitive price possible. All our doors are manufactured in the UK and are made to the highest quality specifications to ensure they are hard-wearing, stylish and above all secure. New Composite Front and Back Door, Badsey Worcestershire. The Evesham Glass and Glazing team took great pride in working alongside Merrell & Bibby Building Contractors at this stunning new build pool house and garage in Worcester. Evesham Glass and Glazing have recently teamed up with Meridian doors to bring you an offer not to be missed. Meridian composite doors are packed full of the latest security and energy efficient features, keeping your home safe and warm. Are you looking to give your home a spring clean? We’re going to be giving you our tips and tricks when it comes to cleaning those doors in your home. All our doors have the latest security features and locking systems to keep your home ultra-secure, as well as being double sealed to beat draughts and give you added thermal insulation to keep your home warm. Plus with the 10-year inclusive warranty, you rest assured that not only is your home is safe, secure and keeping the heat in but is also going to last a long time! At Evesham Glass and Glazing, we’re here to help you. If you are unsure about what style you want in your home and need some guidance, then we have a team of consultants on hand to walk you through the range of options we have available. If you feel your mind’s already made up, then simply get in touch and we’ll send you a quote. Once accepted an expert surveyor will come round to measure up your instalment. What’s more, all quotations are guaranteed for 12-months! Innovation is at the heart of everything we do. It is the driving force behind the theme. It distinguishes between a leader and a follower.